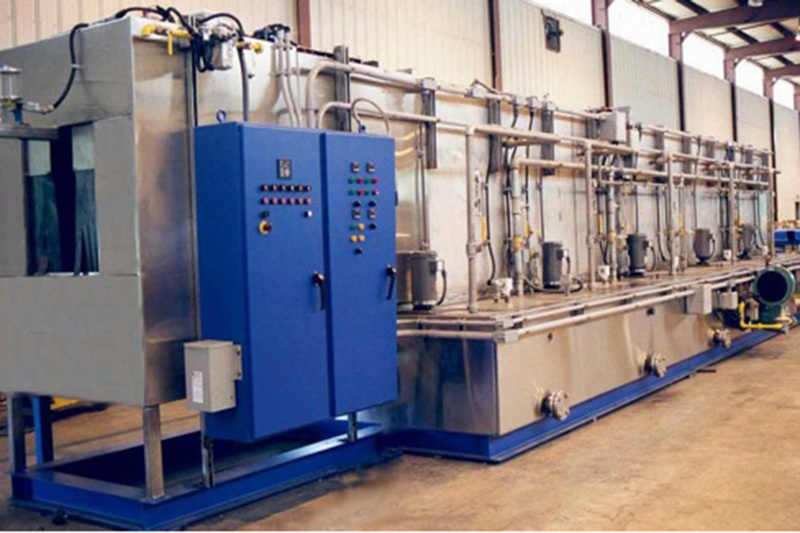 International Plating Technology has the experience to design and manufacture an industrial cleaning machine specific to your part production requirements. Our industrial cleaning machines are available in automatic hoist systems for basket or rack transfer, continuous conveyor, rotary drum and rotary table. 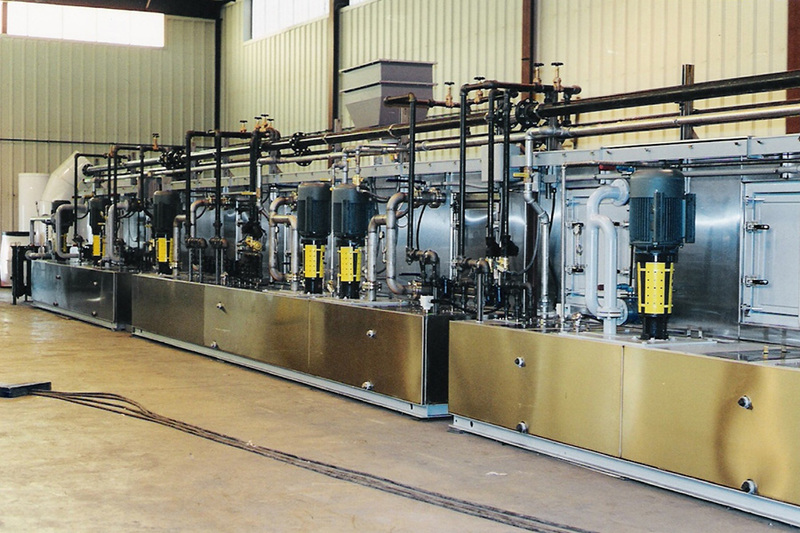 This system uses a unique fixture rotating system that rotates large parts within the tanks and above the tanks to aid cleaning and to minimize dragout. Stainless steel construction, heavy duty base frame, gas fired heat. 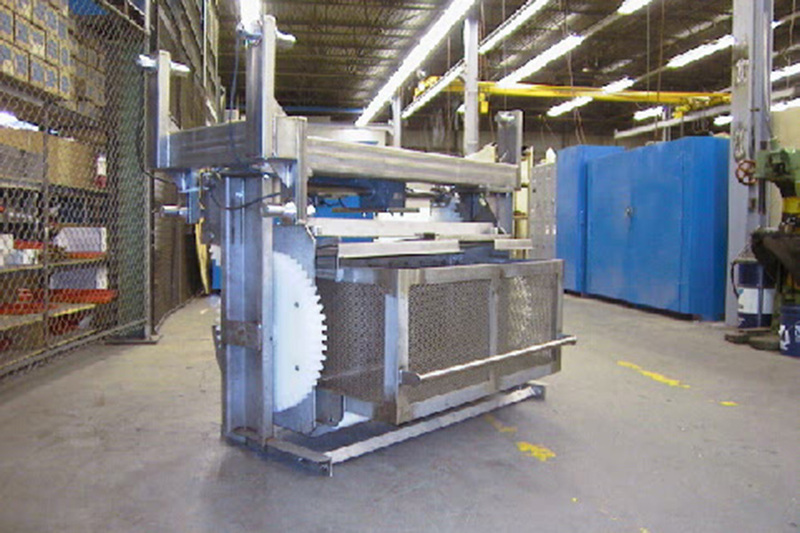 Designed to clean and dry various size stamped components. 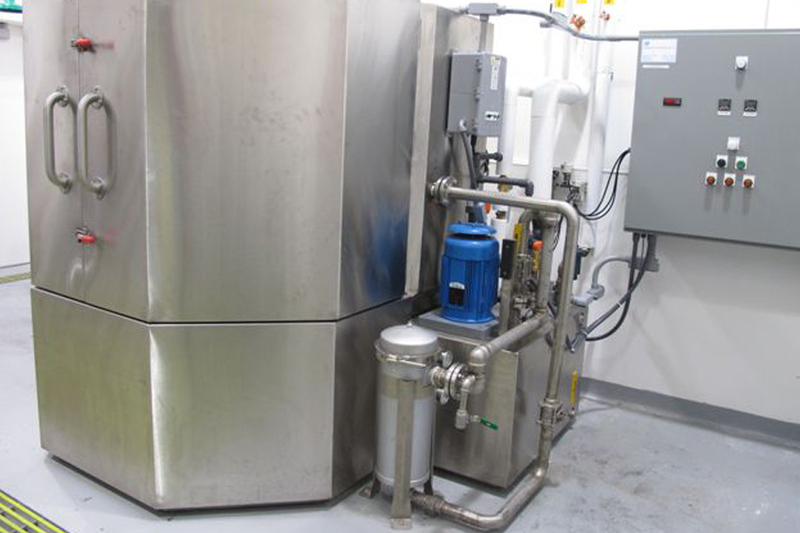 Large access doors (not shown), to service quick disconnect spray nozzles. Stainless steel construction with steam heat. Designed for 200 pound parts removing machining oils, chips, prep for painting and drying. Large hinged access doors for servicing the spray headers. Many sizes and configurations available. Stainless steel construction. Various sizes and processes available. Heavy duty construction with easy access for maintenance. 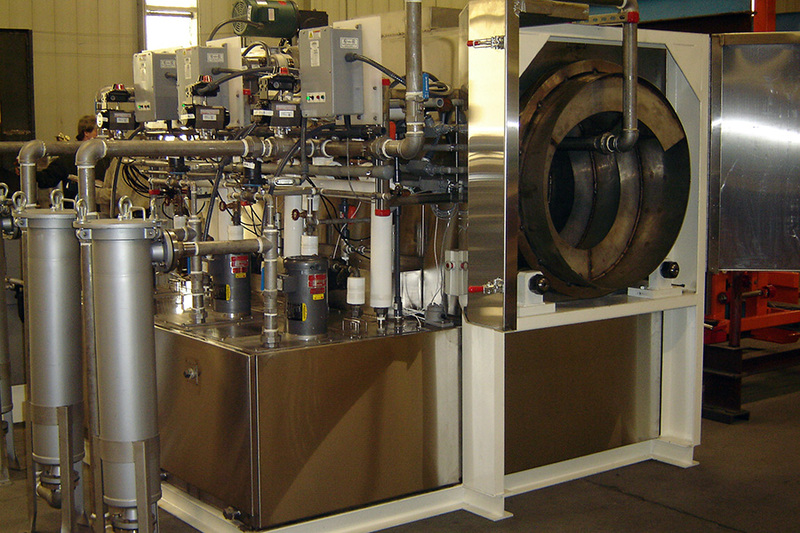 Unit shown is a batch system designed to clean and burnish copper and aluminum stamped parts in 4 cubic foot batches. PLC control, steam heat and automatic water make-up.